Several years in approval, the Heron Tower (officially 110 Bishopsgate) was planned to become the tallest building in the City of London financial district, and the third tallest in Greater London, after the Shard in Southwark and One Canada Square at Canary Wharf. It was to be 230 metres (755 ft) tall, including its 28 metre mast – 46 storey multi-occupied building providing ‘6 star’ office space and topped by a public restaurant and bar on three levels. 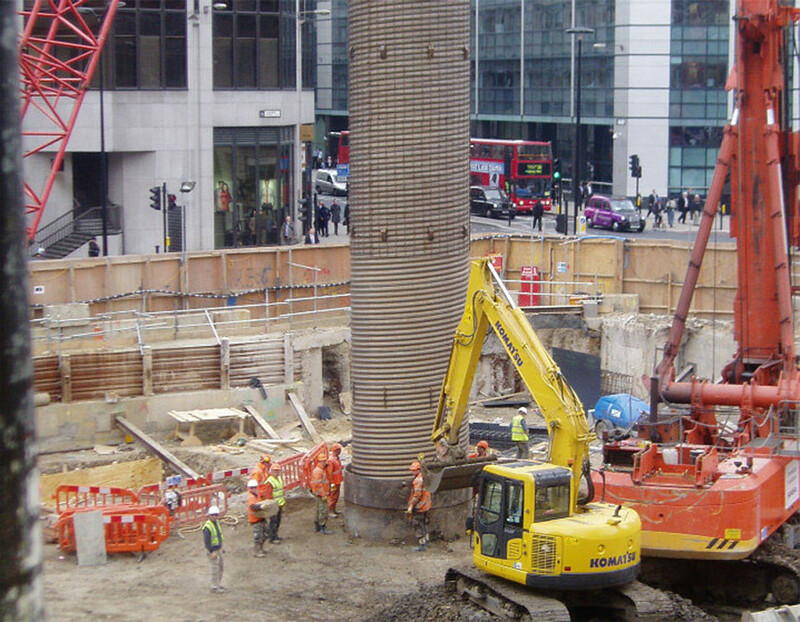 Following the appointment of Cementation Skanska as main contractor, they then approached Tubosider as early partners, with the request to design and manufacture the pile casings to the very demanding specifications required for the Tower. 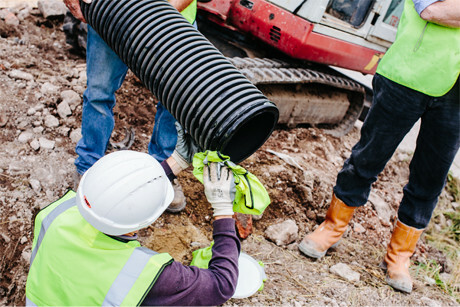 Critically, Tubosider’s casing structures were to be specially designed to be threaded deep into the London clay and allow Cementation Skanska to carry on “top-down construction”. This would give men access to work below ground even as the Tower’s steel columns started to climb towards the skyline. 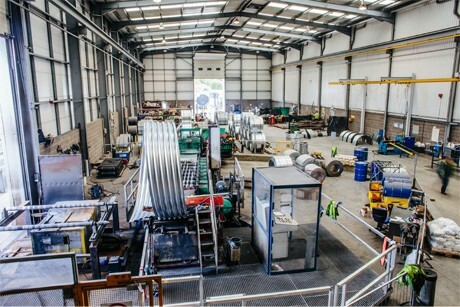 To enable this, Tubosider were commissioned to design 16 specially engineered steel pile casing structures each running almost 14 metres into the ground. Full construction by Cementation Skanska, the same contractors for the gherkin-shaped 30 St Mary Axe building, began in 2008, with foundation piles and steel rebar (reinforcing bar) cages being installed. 2.7m diameter, 3.5mm thick pile casings forming the base of the Tower. Each mesh-reinforced casing was also fitted with a 1-metre extension for lifting and fitting. Each pile casing forming the base of the Tower was 2.7 metres in diameter and 3.5mm thick, with upper and lower spacers top and bottom plus flanges and braces. Each mesh-reinforced casing was also fitted with a 1-metre extension for lifting and fitting. Opened in 2011, building the Heron Tower achieved a BREEAM rating of ‘Excellent’. It has stood apart from the start in its design, with steel again a major factor. The external steel structure so visible on the skyline cuts down the need for intrusive internal columns, creating unusually flexible open plan offices and maximising daylight to each floor.